I think it’s safe to say the honeymoon period is over . . . between us and our house that is. We we’re barely past the one year mark as homeowners when our AC went out on the 4th of July. With house guests. In Texas. Yeah, that was interesting. Well, lately it has become apparent that that was just a taste of the adventures our first home has in store for us. Remember the tree from a few weeks back? I’ve got an even better story for you tonight! Just check out our bedroom . . . Isn’t that a pretty sight?! It all started Tuesday night when I noticed the carpet was wet by my side of the bed. At first I thought maybe one of the dogs had an accident but, as I investigated further, water came up through the carpet wherever I stepped. Apparently the water line to our fridge had a little bit of a leak and, since it shares a wall with our bedroom, turned the master into a swamp. Which brings us to tonight when our house smelled like a swamp – Yuck! – and we had to make a few calls. 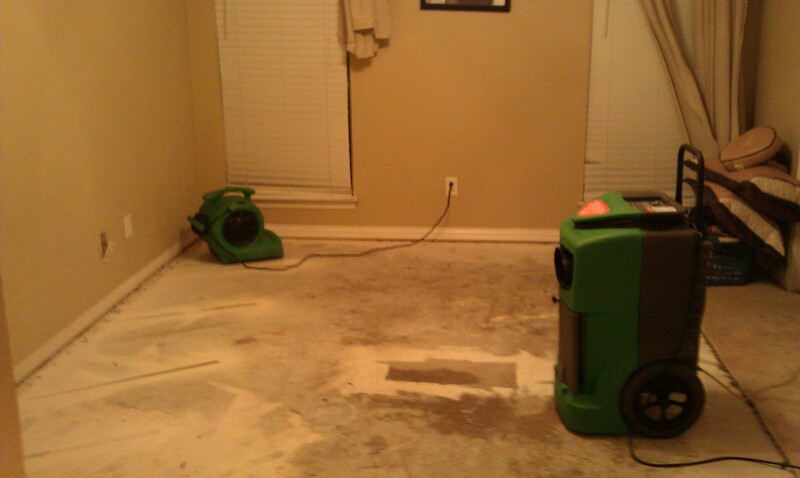 So, we currently have all of the carpet in our bedroom ripped up, six high-powered fans and two dehumidifiers going to dry everything out, and are sleeping in the guest bedroom until we can move back into the master. Now, because I’m choosing to find the silver lining to this situation, we get to pick out new carpet for the whole house! (Since it continues through the rest of the house the recovery service won’t just replace one room.) See? There’s always a plus side.
. . . I had been hoping to share my plans for Mizzou’s Homecoming with you tonight but I’m afraid that will have to wait until game day. I can promise you there are some yummy recipes and, of course, fabulous black and gold attire coming your way this weekend! M – I – Z . . .